Abstract: ".. elephants and dollar bills with feeling frozen by still cracked freedom bells watching the t.v. movies eating the popcorn he sits there inside he won't move outside..". 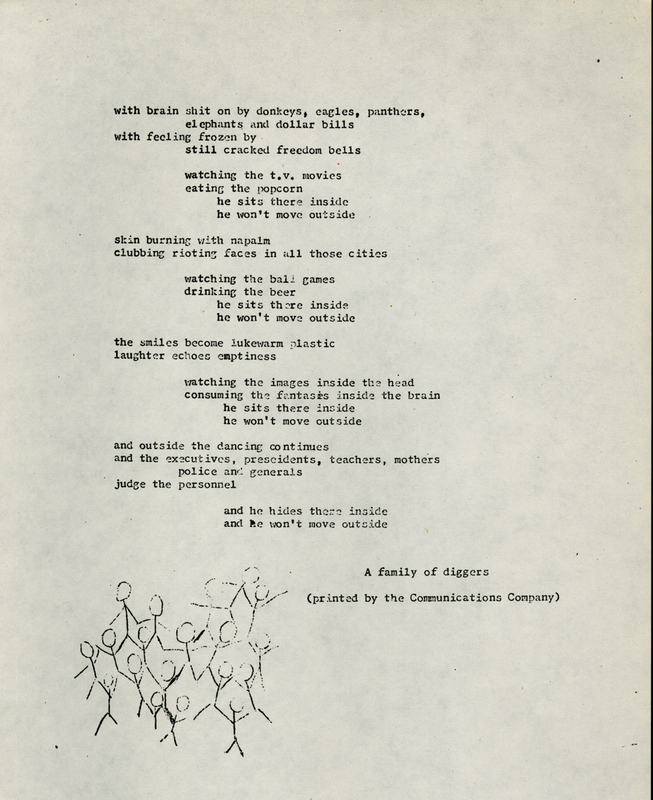 Poem by "A family of diggers". 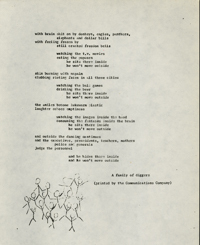 Notes: Doubtful ComCo, as the imprint is "printed by the Communications Company)".